March 2013—The significance of the California Breast Density Notification Bill, which goes into effect April 2013, will influence future breast imaging result notification and early detection program development. Impelling forces include growing awareness of the increased cancer risk and mammography’s limitations. 40% of your age appropriate screening population is becoming aware of the potential of a missed or delayed diagnosis due only to their dense tissue. I learned this lesson the hard way with my own delayed diagnosis. Now the self-proclaimed “Divot Diva with a Passion,” I want to ensure that other women do not suffer the tragedy of a delayed diagnosis and the cost that it entails both personally and economically. 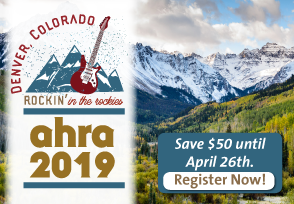 In my presentation at the AHRA Spring Conference, I will share with you the nuances of the Notification Mandate, and more importantly I will aid you in accurately identifying your client base, determining ancillary imaging strategies, and educating and aiding your referrers and patients to develop and implement an effective early detection program. Case studies will help define successful approaches to implementing a Dense Breast Tissue Early Detection Program. Discover the reasons breast density is such a hot issue in early detection. Identify the California breast density notification nuances. Determine the methods to assess breast density. Explore pros and cons of breast density screening recommendations. The Dense Breast Tissue Issue – Notification and Early Detection Program Development will be presented as part of the Advanced Track at the AHRA Spring Conference on 4/10/13 from 1:15 – 2:45 PM. Bonnie Rush, RT(R)(M)(QM), President of Breast Imaging Specialists (www.mammobis.com), is a highly regarded breast imaging presenter offering numerous topics of substance to attendees of the AHRA and other recognized conferences. Thank you for bringing this Hot Topic to the AHRA Spring 2013 Conference. I’m sure all of us in breast imaging and especially those of us in California will gain from your presentation! Thank you Bonnie, your story is inspiring and sure to make a difference along the way.